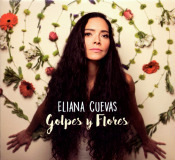 Eliana Cuevas, tracks 1, 10 by Eliana Cuevas & Jeremy Ledbetter. copyright © 2018 Sincopa. All Rights Reserved.